Jefferson County firefighters respond to two escaped burns just two hours apart on Oct. 11. Jefferson County Fire District crews responded to two small fires on Oct .11. The first one, at 1:07 p.m., was in Willow Creek Canyon, northwest of Madras, near Pelton Lake. The cause of the fire was from open burning along the two-track road that winds through the steep canyon. Crews contained the fire to approximately 1.5 acres. Two engines and one command vehicle from the fire department responded, along with two engines from the Bureau of Land Management. At 3:07 p.m., the same day, another fire from an escaped burning barrel was reported on Rocky Lane. 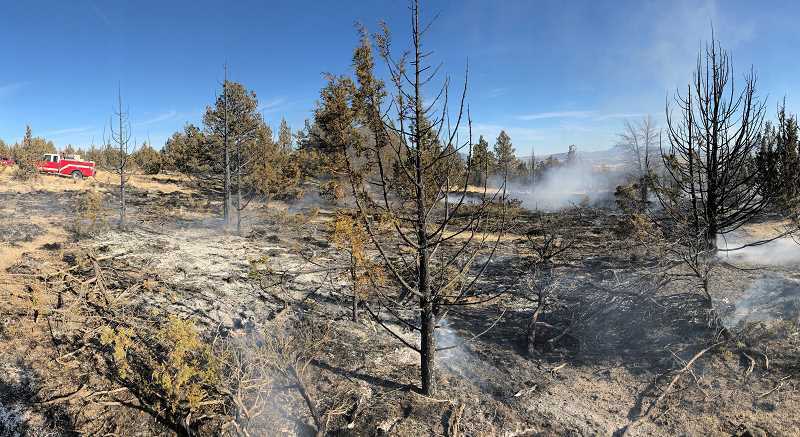 It was contained to around one acre by one command vehicle and three fire engines from the fire department, and two engines from BLM. Fire Capt. 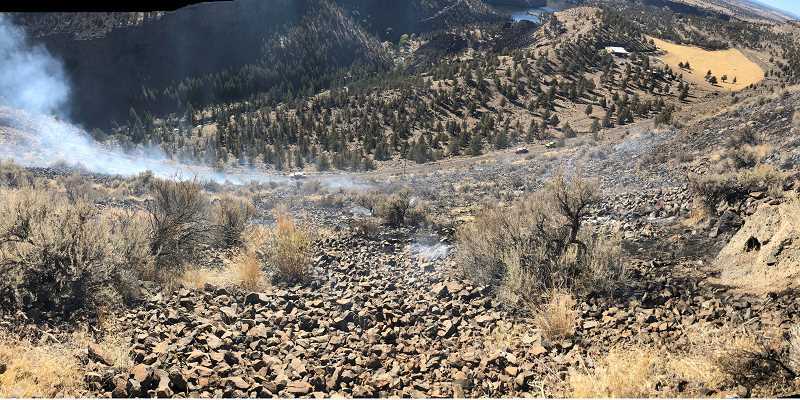 Kasey Skaar noted, "We would like to remind people that while we are experiencing seasonally cooler temperatures, Central Oregon has not had enough rain to significantly affect fuel moistures and the chance of a fire escaping is still great." "Please check with your local, state, or federal fire authorities to see if they are allowing open burning before igniting any fires, and be careful with all fires," Skaar added.